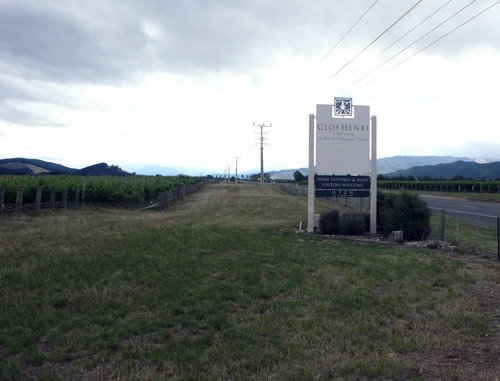 It is not due to coincidence that Clos Henri today is one of Marlborough’s most excellent terroir focused producers. Clos Henri is founded and owned by the Bourgeois’ family, who originally revolutionised how Sauvignon Blanc was produced in the Loire valley in France. Henri’s bold choice of creating terroir styled Sancerre and Pouilly-Fume quickly proved itself and Domaine Henri Bourgeois grew to become the largest producer in the their French Appellations. 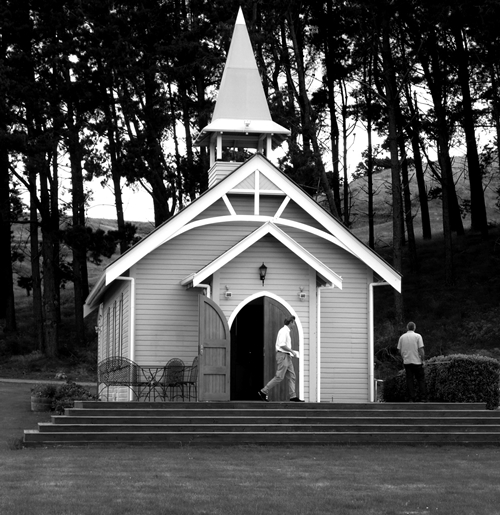 Here we see the former church, that decorates the wines from Clos Henri, and also holds their tasting room next to the vineyards in Blenheim. 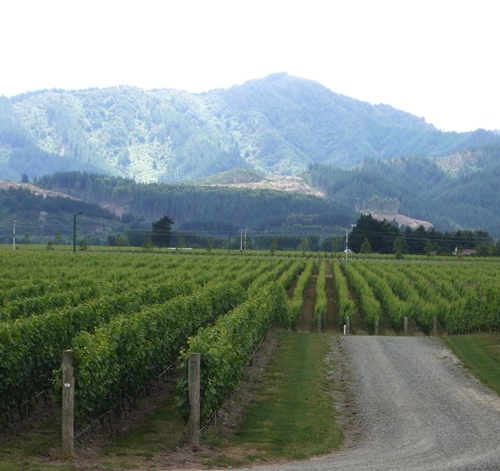 Northern view on their down sloping vineyard with Mount Fishtale in the background, which continues on the other side of the road to the bank of the Wairau River. A careful eye will be able to spot some of the natural lines, which divide the individual terroirs and single vineyards. 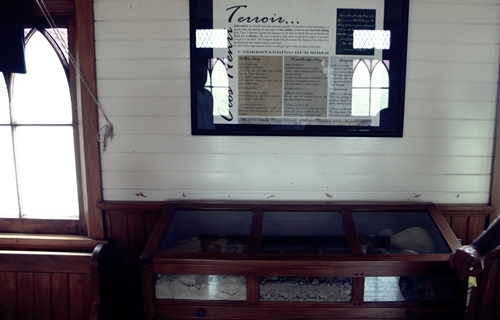 The soil samples showcased in their tasting room, clearly exhibit an equal difference of the soil types. 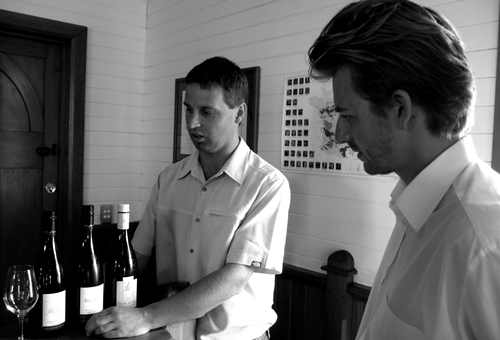 Here their Winemaker Damien Yvon is giving us a vineyard tour to explain the foundation of their terroir based wines. His charming French accent does not try to hide his roots from Chinon in the Loire Valley of France, even after more than 7 years in Blenheim. Western view on their vineyard based at the foothills of the Wither Hills flaunts a small insurance against frost. 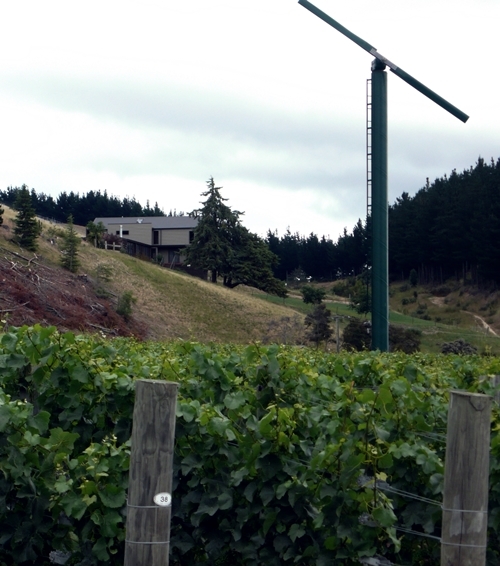 Clos Henri has in contrast to many of the New Zealand producers imported specialised top of the line equipment from home. 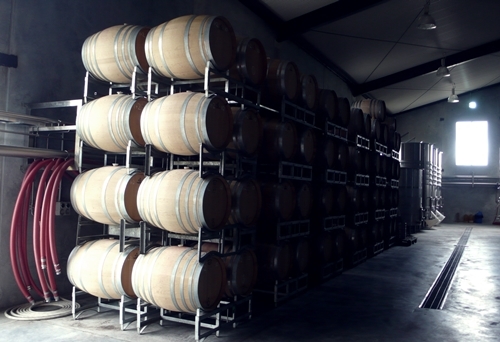 Where most wineries in NZ have chosen to use steel tanks originally designed for the dairy industry, Clos Henri will not compromise. Here some of their stunning tanks. 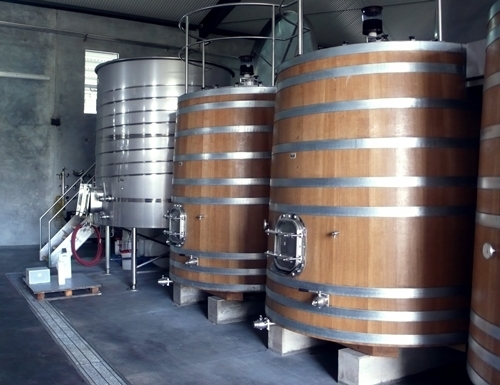 The benefits of using the expensive tanks go both towards control and easier workflows, when cleaning, filling and temperature controlling the tanks. Their barrels for their Pinots are of course also from the best French Coopers. Their 3 Sauvignons: Petit Clos, Bel Echo and Clos Henri. They are products of two individual vineyards with different terroirs, soil types and yields. Petit Clos is produced from the young vines in the Clos Henri vineyard with a higher yield than the old vines. The soil is mainly gravel. 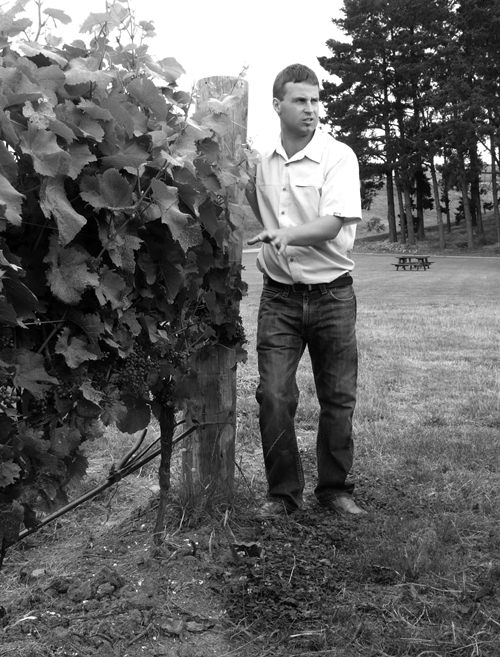 The Bel Echo vineyard is an 80/20 mixture of clay and greywacke from the riverbed, the yield is similar to the yield of the vines going into Petit Clos. The winemaking of the 3 Sauvignons also differ with Petit Clos and Bel Echo spending “only” 4 to 6 months on their lees, Clos Henri is kept an impressive 10 months on its fine lees; giving extreme texture and creaminess. Here a close up of the 3 Sauvignon Blancs. Petit Clos is their entrance Sauvignon and a real value buy. Much more subtle than the Clos Henri, yet its elegance make it a wine you can pair with many dishes, and also enjoy on its own. Bel Echo is a rich and complex wine with classic Marlborough traits of gooseberries. The clay soils give the wine excellent minerality. Picture is from their tasting room, where they present the different soil types found in their vineyards. The Clos Henri Sauvignons resemble none of the other Sauvignons I have sampled from Marlborough. They are very original and much more French in their style. They are with no doubt among the very best from this region. Their Pinot Noirs are also great and made with a similar dedication to detail.